Today the first update to our ownCloud Server 8.2 release delivers a more mature and polished ownCloud experience. Almost 100 enhancements and fixes in the areas of sharing, performance, storage, user interface, translation and documentation can be found in the packages on our download page. 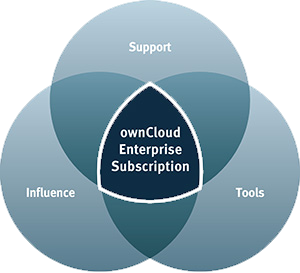 In support of ownCloud deployments, ownCloud, Inc. makes Standard and Enterprise Subscriptions available today. By publishing these updates less than a month after availability of ownCloud Server 8.2 on October the 20th we continue our streak of planned releases. Below is a small overview of the many changes. Find more details in our changelog. In the sharing area, ownCloud now shows the full path when reporting an error about sharing with the owner of a file or folder. Error messages got some other improvements and the issue of sharing passwords being broken after a changing an expiration date has been fixed. In the Strange Problem area, public links with a certain number of files would not correctly show all items. Depending on the browser and the system it would show 20 files but not 30, yet 38 would be fine and so on in an unpredictable manner. This has now been resolved. In storage land, Dropbox and Google Drive change detection was improved to now always show the correct sizes and the number of files. The Swift object store now correctly deals with moved files and the reporting of transactional file locking errors was improved. The locking itself was also made a LOT faster by sharing locks used in a single process and not locking on only reading cache metadata and various other code optimizations. This should deal with most, if not all performance regressions due to more fine grained locking introduced in ownCloud 8.2. You now get your files both safely and quickly! There has been a wide variety of user interface improvements, as well, from updated fonts, colors and fixes, to small inconsistencies between various screens like the updater, installation, configuration and more. Notifications now go away after a timeout, the spinner position on the share tab and icons on public folders have been corrected and the user menu will now close when you click another menu. Admins will also appreciate that the update process now shows what steps it will execute and warns them if the update might take a long time. We also expose the new syslog tag in the configuration. This feature is useful for installations with multiple ownCloud instances, differentiating them in the system log. 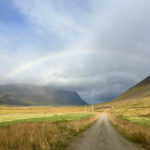 In addition to the changes in these major areas of ownCloud functionality and look, there are a wide variety of improvements to user management and LDAP, as well as to documentation, translation, security and browser support. We strongly recommend an upgrade to this release as soon as possible! Find instructions on updating ownCloud here. If you are still on ownCloud 8.1, or an older release, see our blog about upgrading to ownCloud Server 8.2 for tips and release notes. We have ownCloud Proxy enabled virtual machine images on our installation page which makes deploying your ownCloud easier than ever! And if you get into any kind of trouble with ownCloud, find help resources on our support page. 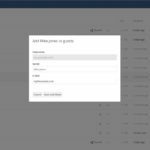 Users of ownCloud in commercial environments will be glad to hear that ownCloud, Inc. continues to offer Standard Subscription and Enterprise Subscription options for ownCloud Server 8.2. Building on the many improvements delivered with the new release, ownCloud, Inc. couples additional integration capabilities in enterprise infrastructure with the confidence that comes with first-class access to ownCloud support and development resources. Visit owncloud.com to find pricing and other resources available to ensure the smooth functioning of your mission-critical deployment. It varies a bit but generally, the .1’s are indeed coming within days after they are out. 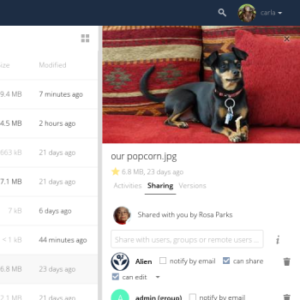 We use Owncloud for tons of valuable data and it has been working like a charm for years now. Thank you! !